As much as February has been so stressful and busy to me (hence my tired face in this post), and I couldn’t wait for it to be over, I really wonder how is it that the time is going so fast this year! 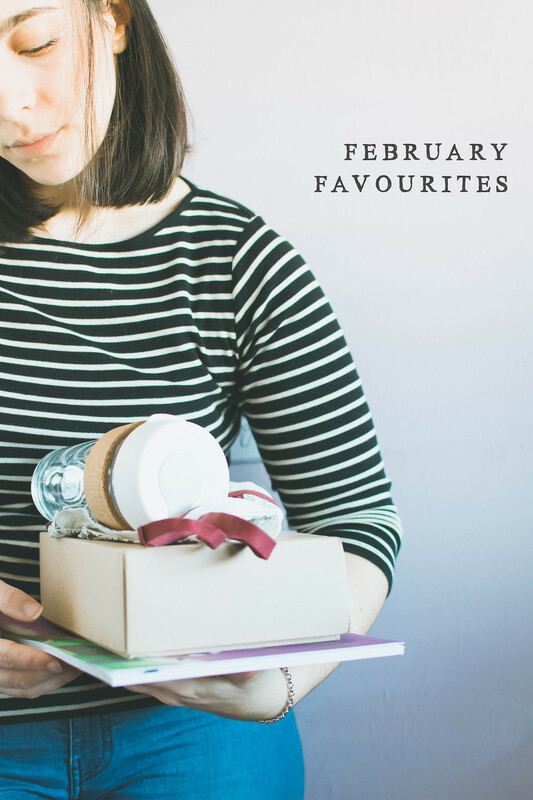 Nonetheless I have a couple of exciting February favourites to share with you today! With Valentine’s Day and January just gone by, February is usually the month when I think a bit more about self-love and care. I can hardly remember to treat myself to something nice these days, so discovering BuddyBox* this month was a breath of fresh air! I’ve never been one for subscription boxes, but I just couldn’t say no to a box full of encouragement and love. Plus, you know how I feel about cosiness, and this box contained everything one needs to swicth off and unwind, but also remember to take care of yourself. 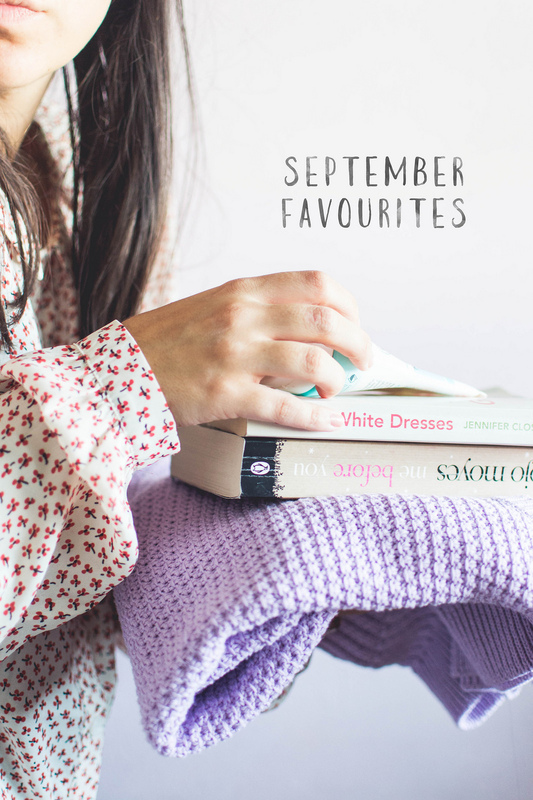 I’m talking a mixture of cosy reads, organic beauty, cute postcards and fun notepads! Something I find I also love doing generally in February is updating my lingerie drawer, and if you know how I feel about lingerie you’ll understand the link with selfcare here! I’ve discovered Oysho‘s soft bras this month and I’m obsessed! But again, I love their whole range really! Although I’m not a mum just yet (nor anytime soon, promised), I’m sure some of you are or are going to be soon instead, and I just had to share this! I discovered the LostMy.Name* website and services months ago and immediately felt in love with the idea. 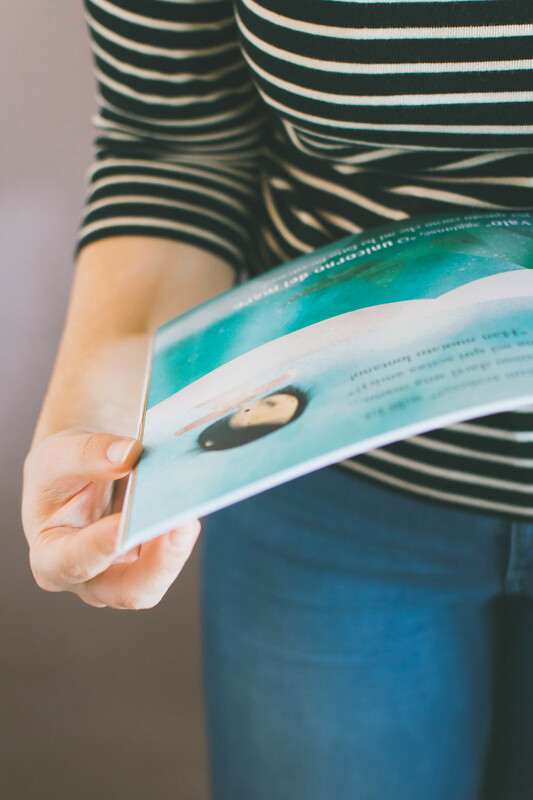 I had a customized book when I was little and it was my very favourite thing, so I immediately loved the idea of a book based on your child’s first name. I might or might not have ordered a book with my future child’s name already (I’m crazy like that) and I’m obsessed with the beautiful illustrations and the extremely adorable story! I’m sure any child, boy or girl, would love this! I’m also loving The Simple Things magazine these last couple of months: I’m usually a big fan of their Christmas issue and generally don’t buy a copy each month, but I loved everything about February’s issue and I’m that excited about Spring, that I couldn’t resist getting another one for March. 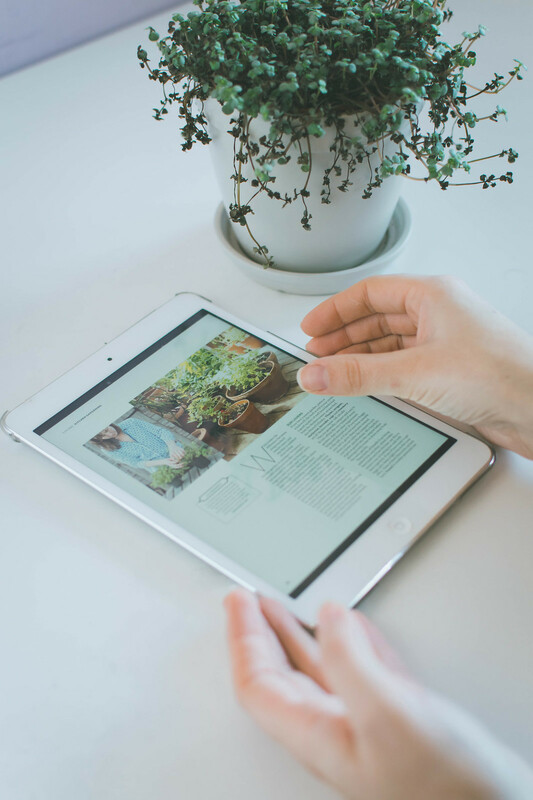 And it’s extremely lovely, jam-packed with flowers and gardening tips! Lastly this month I *finally! * got my hands on one beautiful Keepcup and I’ve got so much use out of it already (this month was about having all the coffee all the time, maybe a bit too much too). I love the design and the environment-friendly ethic, it makes drinking coffee even more fun – don’t know if it’s a good thing but I do love this cup! That’s about it for my February favourites! OK so I’m not sure where the time’s gone already, and it’s only the beginning of the year, but January it’s already over when the year seems to be just started to me! Anyone else? This month my beauty regimen has been extremely basic, even more than the usual, but one thing I was excited to try was this 100% organic Neal’s Yard Rose Facial Wash I’ve been meaning to buy for quite a while now. This cleanser is making me excited to get out of bed every morning (even though I swear I can’t feel my feet everytime they pop out of the duvet) just for its amazing and calming rose scent! 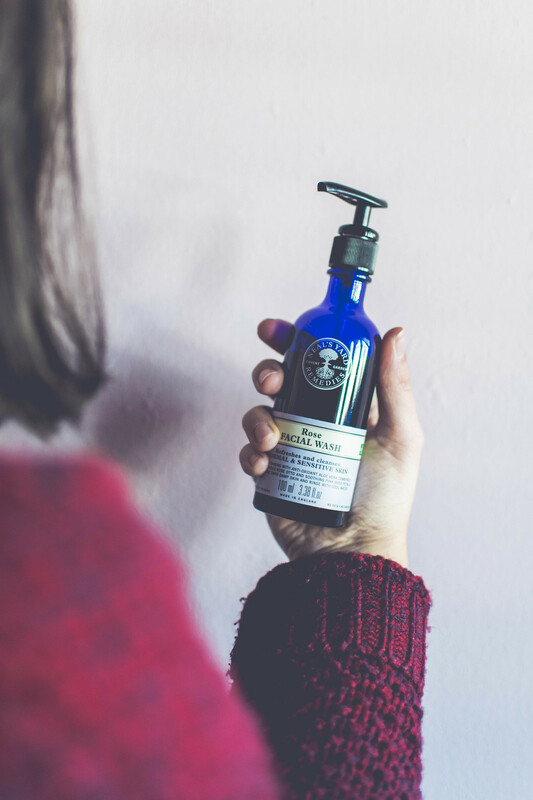 It’s a pleasure to use: so nicely gentle, refreshing and easy to apply, it makes for the perfect morning and evening cleansing routine. Apparently it’s one of Neal’s Yard best sellers and I can easily see why! 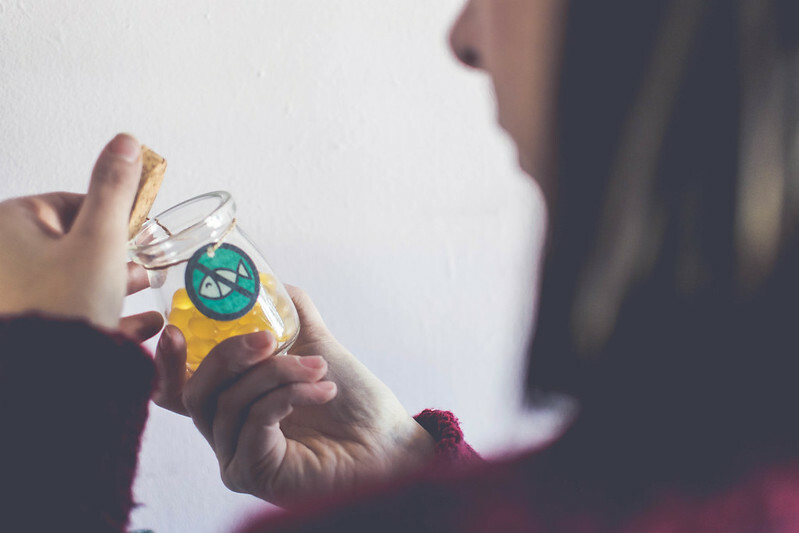 You know I love my nighttime teas, and I just needed the perfect excuse to incorporate the same flavours and scents in my everyday tea. 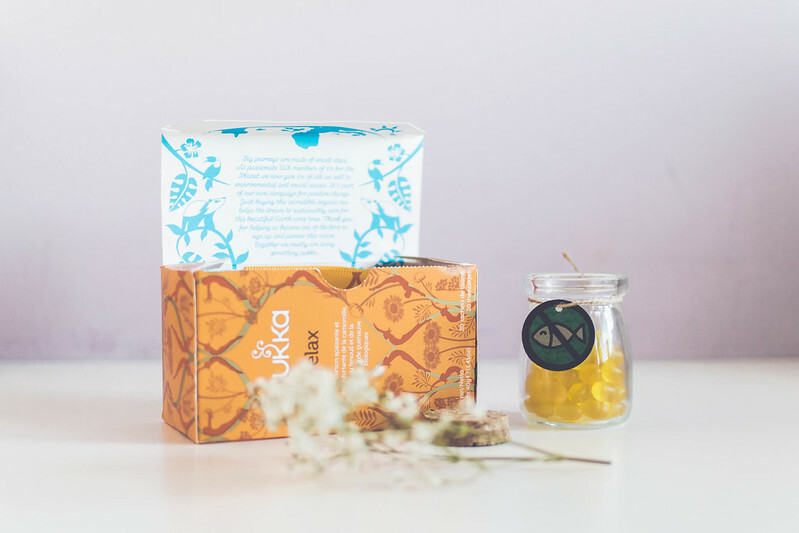 So this Pukka option, featuring organic chamomile, fennel and marshmallow root, totally felt very appropriate this January. 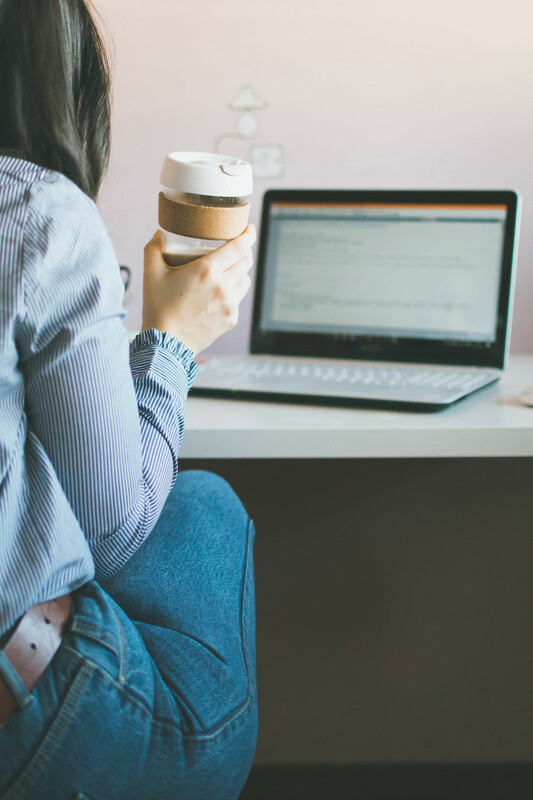 Everytime I curl up with a cup of this sweet tea, I can’t help but enter a cosy and calm mood that’s doing a lot of good to concentration and with helping to switch off! Over the course of the last few years, I’ve been very interested into implementing Omega 3 into my diet but have always struggled to find tablets that didn’t taste fishy or contained any fish oil at all. I was so excited to be introduced to NothingFishy! They make Omega 3 tablets from algae only, because the actual primary source of Omega 3, and also where fishes are getting them in a first place, are algae (of course, why didn’t I discover that earlier?!). This also means you’re not getting all the nasties and pollution that fishes absorb from the sea, because their algae are grown in a controlled environment. Aside from the fact that the packaging is extremely nice, I’m really loving these tablets a lot this month: being vegetarian, I’m excited to have found an Omega 3 alternative that’s healthy and environment-friendly and completely vegan. Do check them out! You might remember when my knitting obsession started last November: well, it’s still going strong! I’m in the process of making my very first sweater right now, but I’m constantly after new patterns and wool to try and have fun with. If you follow my Instagram profile you’ll know all about this topic and my preferences by now, but I’m 100% obsessed with the softest warmest wool by Drops, which is one of the wools I’ve picked for my sweater project (more on that soon!). 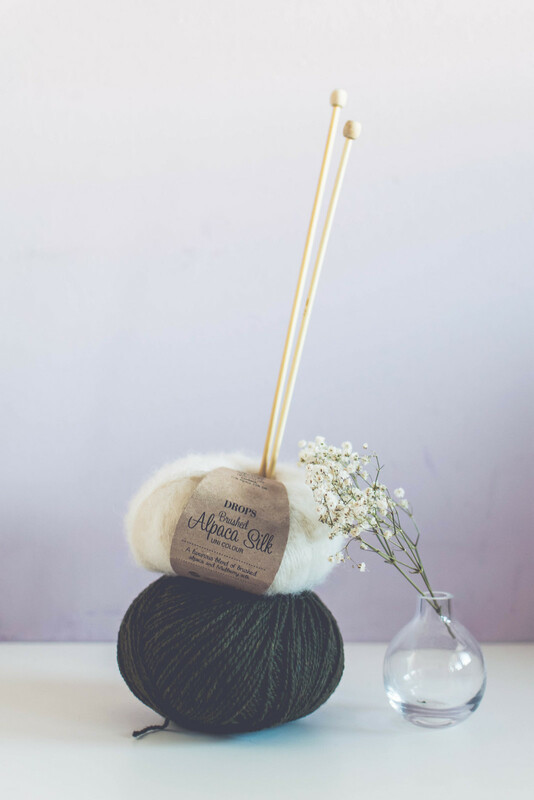 But I’ve also just discovered French De Rerum Natura, that produces and sells beautiful ecological wool made in France – I can’t wait to cast on some new projects this February! 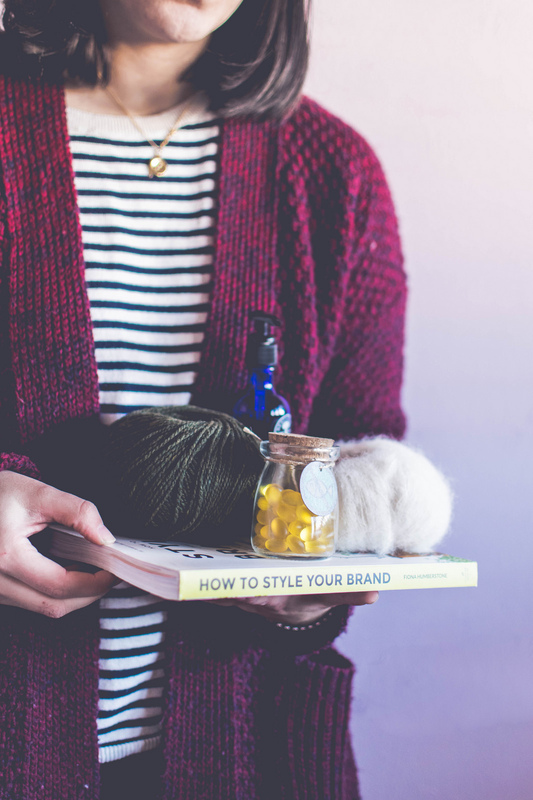 Lastly, this month I’ve read Fiona Humberstone’s How To Style Your Brand book and found it extremely inspiring. 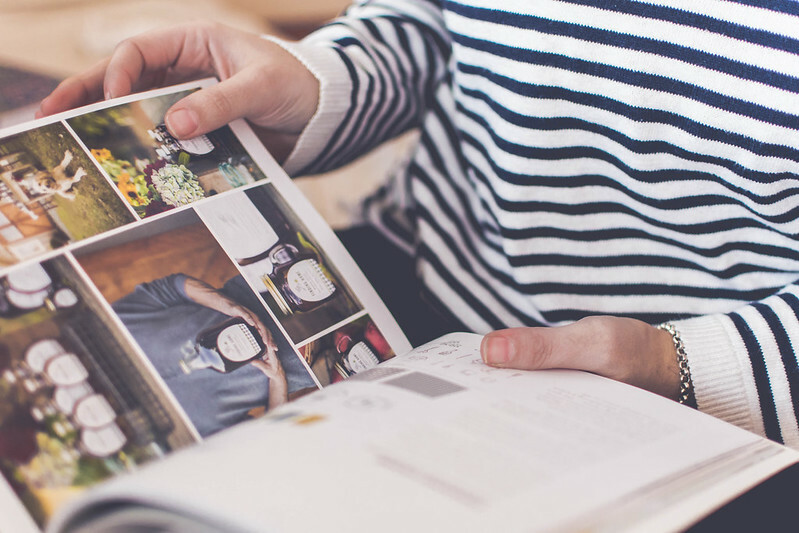 This book is full of tips and hints to make your own brand great, and although I’m already familiar with branding and design with running a design business myself, it felt so nice and refreshing to read about a different process than my own, which helped me a lot with realizing new things about my business I have never thought about before! If you want to hear more of my thoughts, you can find a mini review here. In my New Year’s Resultions this January, I purposely avoided any reading goals. In the years I’ve learnt I’m not good at setting specific goals just in general, and this mainly applies to books and readings. However every January I’m extremely motivated to start new reads, and this is the time of the year, together with Summer, when not only my to-read list reaches peak, but I also get most of my reading done! 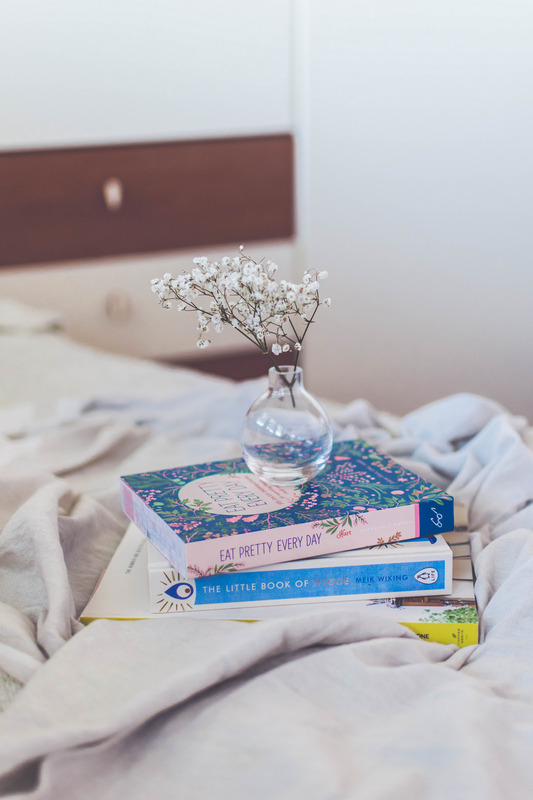 This year I’m finding myself extremely attracted to non-fiction lifestyle books especially: anything from nutrition, health, business and well-being, I’m just all about it! Especially with grey January around and a couple more months between us and Spring, I need to curl up and read anything inspirational, learn new skills or notions and find something exciting to apply to the everyday. 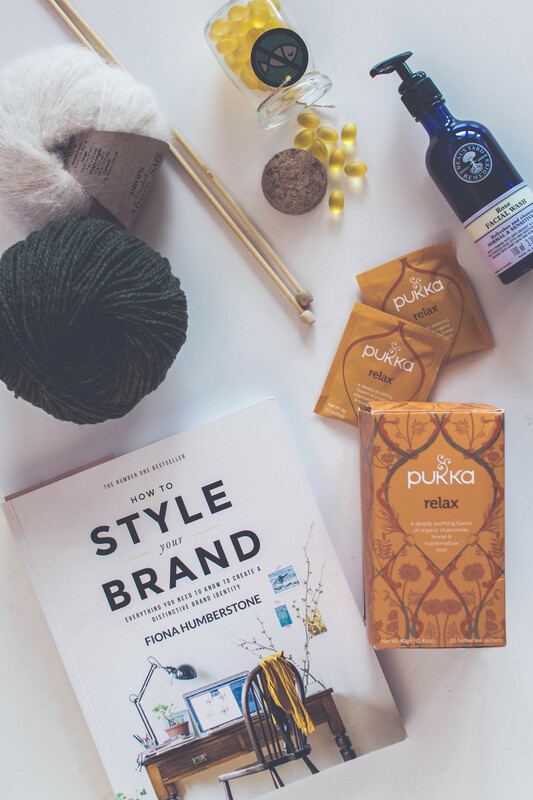 How To Style Your Brand by Fiona Humberstone – Running my own web and brand design business full-time I already knew most of the notions in this book. But knowing a notion and branding someone else is completely different from crafting your own brand, and I’m loving this book so much because it makes you really think about the direction you want to take. It’s like having a brand stylist constantly helping you out and allowing you to see your brand from the outside! 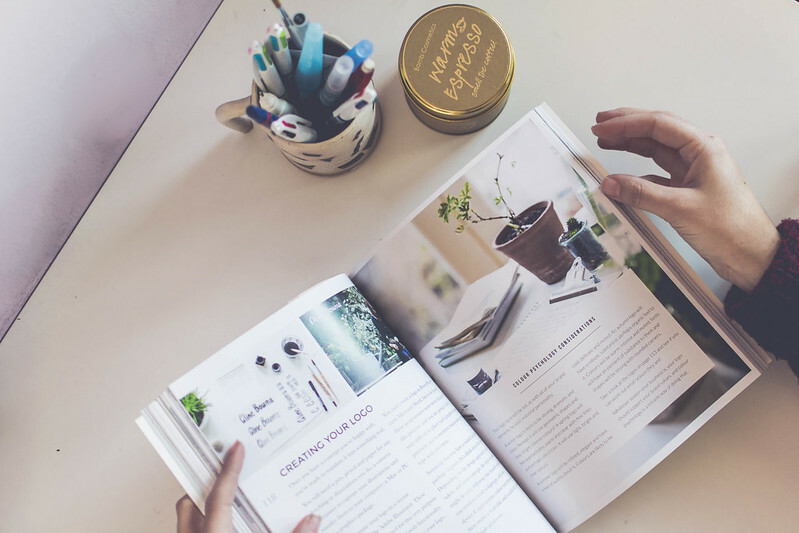 I’m sure you have all heard of this book already, but if you’re a blogger looking to up your blog game or a small business owner, this is a great and inspiring book to turn to, with lots of examples, amazing pictures and fun “homeworks”! Eat Pretty Every Day by Jolene Hart – This time last year I read Jolene’s famous Eat Pretty: it was a time when I just started caring a lot about what I eat and it felt pretty appropriate and also inspirational for my healthy eating journey. So this year I was very curious to give the “sequel” a proper go! Her books are just so beautiful to go through, with all the beautifully illustrated pages and sections, but I also love the contents and the way she clearly explain what-does-what a whole lot. This new book has a page for each day of the year, with different tips, health goals, food facts, recipes (and more) every day, categorized by seasons. I can’t really wait to have a proper read and have it around every day in 2017! 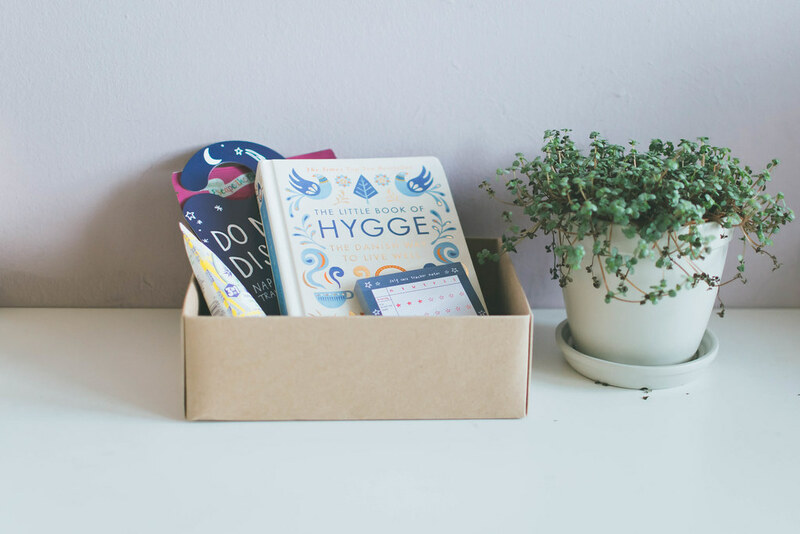 The Little Book Of Hygge by Meik Wiking – Everyone knows about Hygge by now, and I’m extremely late on the bandwagon, but you know how I feel about anything cosy, and this book is all about that and more! It’s a very light but interesting read: I love to curl up in the cold evenings under a blanket, light up my fairy lights and go through its pages. 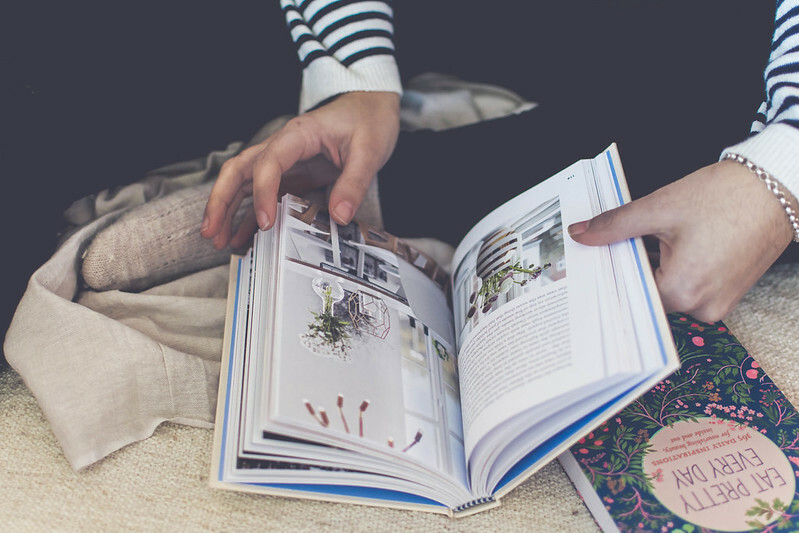 Jam-packed with interesting Hygge facts and happiness studies, it’s also a different way to get to know a pretty interesting country and its traditions. I was already considering to visit Denmark soon, and now I’m just sold! What about you? 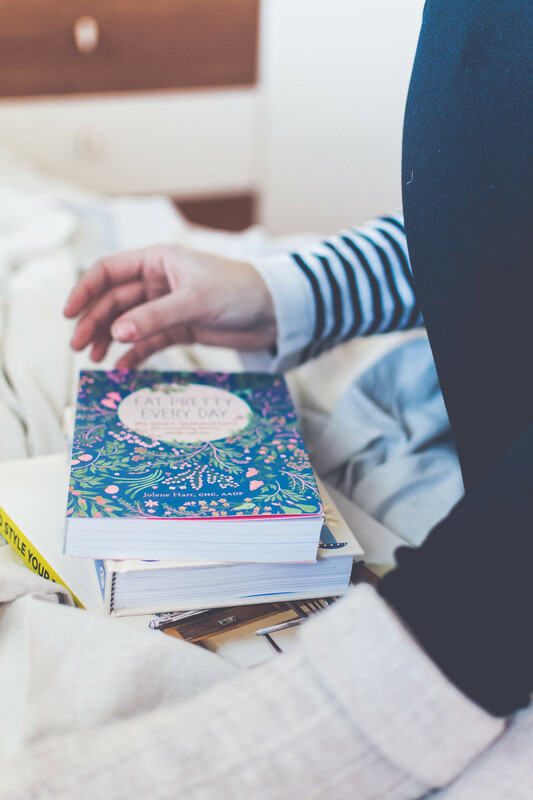 Are we currently reading the same lifestyle books?